Writing is usually developed slower than reading, only because parents and teachers tend to focus more on reading than writing. It's like the poor cousin of reading. Focus more on writing. As you would get your child or students to read every day, you'd want to have them write every day as well. It's by practicing daily writing that children build up their writing 'muscles'. You'd want them to become fluent in writing so that when they're given a topic to write they can get right into it. 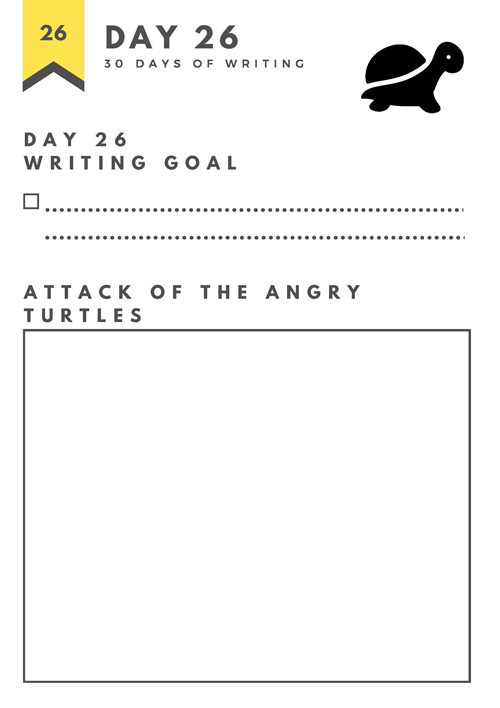 That's where this 30 Days Writing Journal for Kids comes in handy. 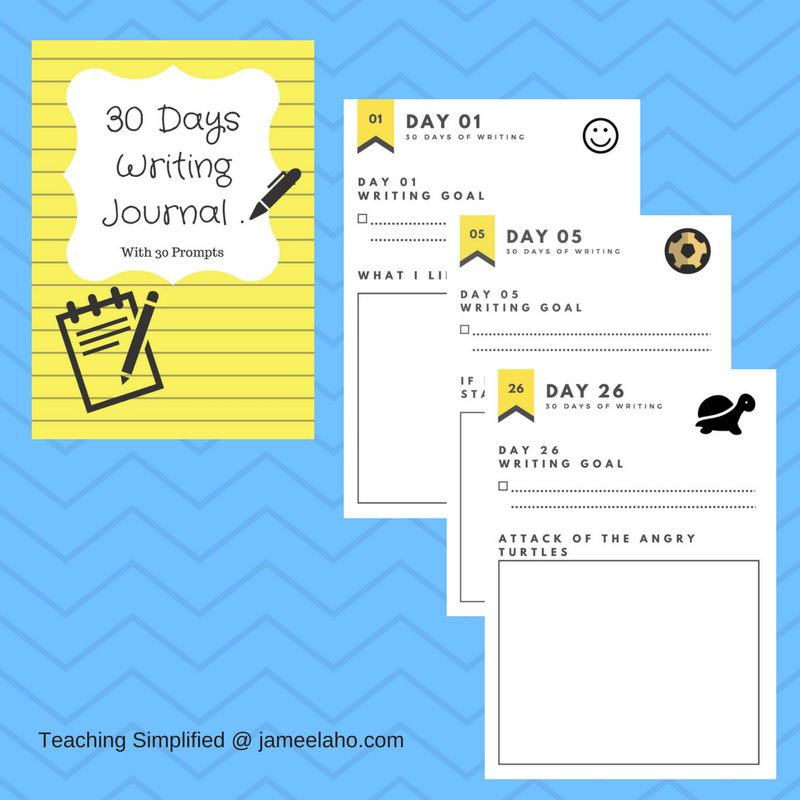 For a whole month, your child or students will get to write. It needn't be long. It's just to get them into the habit of writing. 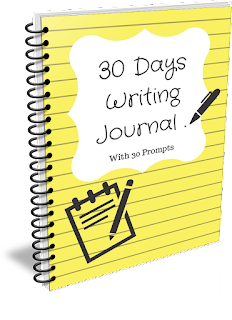 After the 30 days, when they're used to writing then you can get them a blank journal (or book) and ask them to write anything they want in it every day. 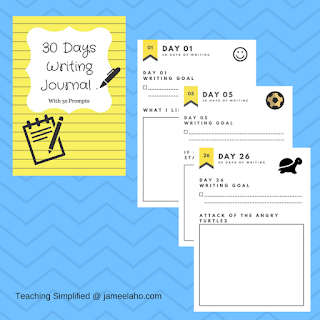 Inside the 30 Days Writing Journal for Kids you'll find that the first few days topic will be about how they feel about writing, then the next few days will be about topics that they're familiar with such as what sports they like. 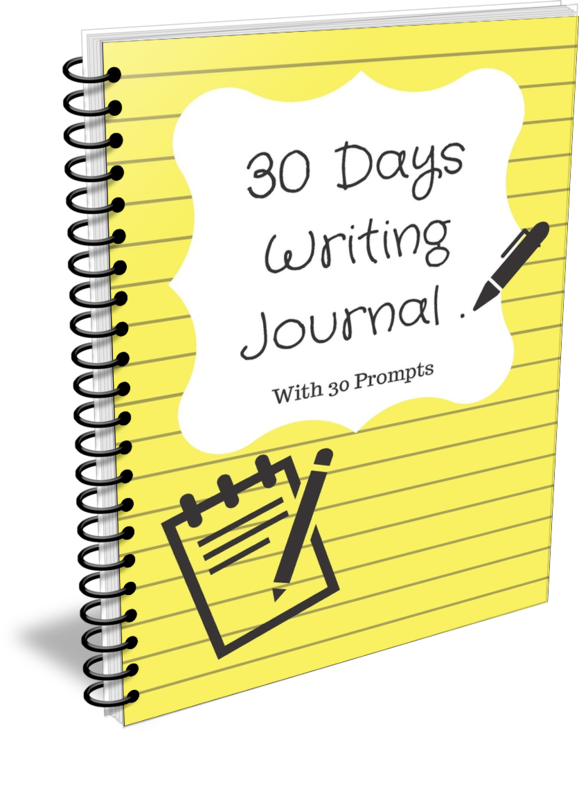 The final third of the journal will have prompts that will require their imagination. It's a gradual build up from what they know to creative writing. 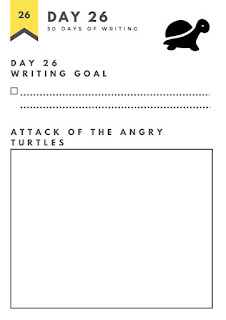 I suggest that you print it single sided and bind it up so that children can write on the back if they need more space to write on (and perhaps draw a picture).